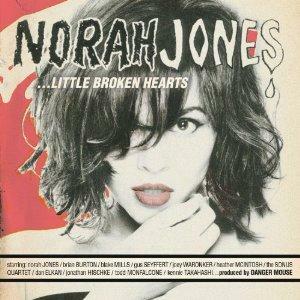 Norah Jones, Silversun Pickups, PS I Love You, and Neon Trees -- reviewed for your listening pleasure. It's been 10 years since Norah Jones exploded on the scene with 2002's "Come Away With Me." With her smoky voice and sweet, coffeehouse songs, Jones endeared herself to millions of people with her pleasant piano-driven fusion of pop and jazz. What a difference a decade makes. The voice hasn't changed a bit, but the content has gotten, well, let's just say darker. After a rough breakup with an unnamed boyfriend, Jones packs "Little Broken Hearts" with enough vitriol to make the Starbucks crowd that fell in love with her years ago spill their tall half-skinny half-1 percent extra hot split quad shot latte with whip in surprise. From the bouncy "Happy Pills" to the murderous "Miriam," Jones manages to make her ire still sound sweet. While the album moves slowly at times, "Little Broken Hearts" has an edge that keeps it interesting throughout. With their first two albums, the Silversun Pickups experienced a successful debut ("Carnavas") and a middling sophomore effort ("Swoon"). "Neck of the Woods" picks up (my apologies) right where they left off with more Smashing Pumpkins-esque guitar rock, but they seem more polished on this record, imbuing the album with a darker, more morose feeling than before. Brian Aubert's androgynous vocals remain but there's a roughness that wasn't seen in the past. "Neck of the Woods" grabs your attention from the start, with opener "Skin Graphs" ominously building up to meaty guitar hooks. The band alternates between spacey effects and clean guitars, keeping songs like "Make Believe" and "Busy Bees" refreshing, providing each song with enough dynamics without creating an overload of pedal stomping. There isn't a single standout track that will blow you away like 2006's "Lazy Eye," but "Neck of the Woods" works as a whole. For some musicians, their instruments do the speaking. On "Death Dreams," Canadian noise-rock duo PS I Love You's sophomore full-length, Paul Saulnier is suffering from multiple personalities. Written about a series of mortality-themed dreams Saulnier had while touring in support of the band's debut, the album is mired in a nervous energy over unfulfilled wishes, sudden bouts of fear, and the inevitability of death. Despite the dark lyrics and ominous title track, when Saulnier starts shredding on his guitar, he's a changed man. Despite what his anxious yelps might say, Saulnier's nimble fingers show that even in the darkest of times, a beacon of hope can shine through. And boy, does the guitar shine. Tracks like "Red Quarter" and "First Contact" show off Saulnier's furied fretwork, while the stunning shimmer of "Don't Go" shows the vulnerability rooted in the music. "Death Dreams" really is a killer album. Neon Trees burst onto the scene after the release of their debut album "Habits," and their infectious single "Animal" lit up the Billboard charts, cementing them in the collective conscious in indie-pop fans looking for catchy hooks fit for both clubs and rock concerts. The Utah-based foursome returns with "Picture Show," a highly anticipated follow-up. The first half of the album flows inline with "Habits," with Tyler Glenn's powerful vocals leading a mash of teenage-angst-fueled splashy organ work and catchy guitar riffs. Lead single "Everybody Talks" stands out but could have easily been written for "Habits." The second half of "Picture Show" begins to tugs back the veil of youth, hinting at maturity, as track length increases and the music ventures off the already beaten path, leading fans to wonder if Neon Trees are simply mellowing with age or branching out as more mature artists.